Manufactured since 1972, the 5 Series is BMW’s second-best seller. Motorists delight in this mid-sized luxury saloon, not minding that it can be short on thrills. Now into its sixth generation, the BMW 5 Series is a car which attracts the prudent owner rather than the adrenalin junkie. This is a quintessentially German piece of engineering, made for cruising on the autobahn. Released in 2003, the E60 and E61 – the fifth generation of the 5 Series – represented a controversial move for BMW. A sharply-defined, angular body design replaced the soft curves of its predecessors, prompting 5 Series loyalists to accuse BMW of taking the elegance out of the model. With hindsight, the stylistic overhaul was simply ahead of its time: the E60/E61 is now the best-selling 5 Series of all. Taking the futuristic theme a step further, BMW introduced its iDrive system in this generation. This dashboard-mounted interface allowed drivers (and in later generations, passengers) to control secondary systems like climate control, audio and communications. At the business end, the E60 and E61 come with petrol or diesel engines, including a mighty 5-litre V10 petrol engine in the high-performance model. The next generation of the 5 Series – including the F10, F11 and the F07 – made its market debut in 2010 and was lauded as an excellent all-rounder. Diesel versions have high fuel economy and low CO2 emissions, making it a good choice of company car. The one significant drawback in this generation is the consistently unforgiving suspension and handling, improved in models with adaptive drive or VDC. 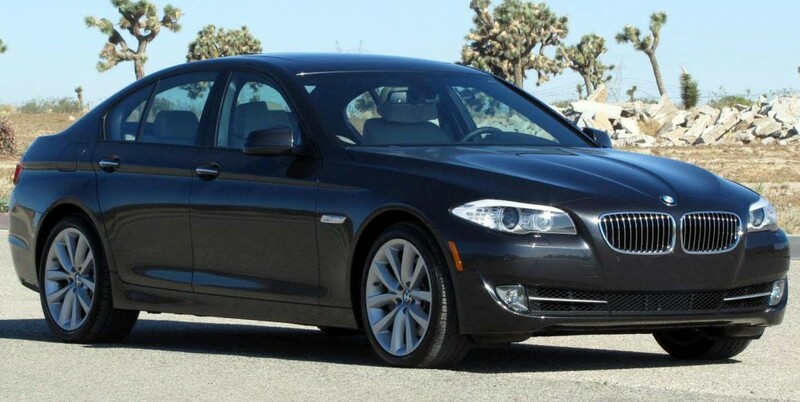 Although an undeniably solid choice, the 5 Series is not entirely free from issues. In some vehicles built between 2003 and 2009, the timing chain has been known to snap without warning, leading to sudden and catastrophic engine failure. If this happens to your car, a fix will cost between £500 and £8,000, depending on whether you need to replace the chain alone or the entire engine. The BMW 5 Series is a car for those who want a solid vehicle backed by the quality of the BMW marque. Despite controversies over changes in body styling, the 5 Series has commanded the admiration of motorists since it was first produced in 1972. However, issues with the timing chain on some models may cause sudden engine failure and a repair bill of up to £8,000. If your BMW 5 Series has this problem, it makes more sense to scrap the car rather than face complicated repairs and escalating bills. Call Scrap Car Kings for an instant, no-obligation quotation.